1.This option is dual phone mode unlock, suits for most operators’ mobile phone that works at 2G mode. 2.1. MODE1 -> This option is the new unlocking method. Manipulation resembles Heicard unlocking method, while no app is needed. (RSIM 11 also supports HEICARD app and operation is the same). 2.2. 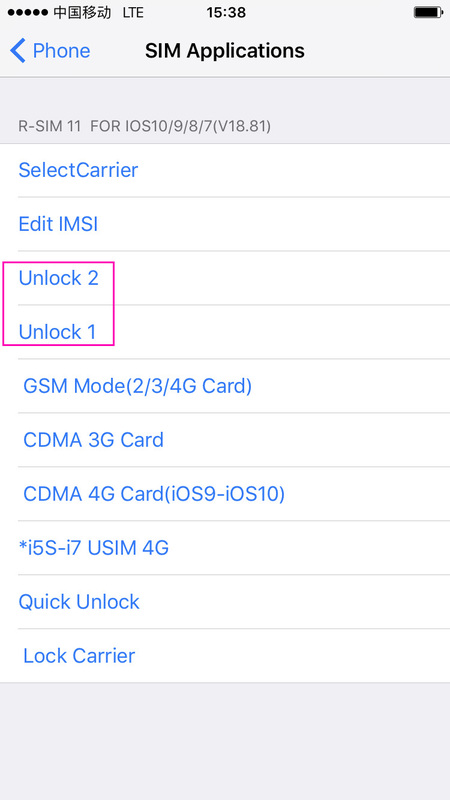 If HEICARD APP is not available, the original “unlock 1” and “unlock 2” options can be replaced by the same items on STK Menu. 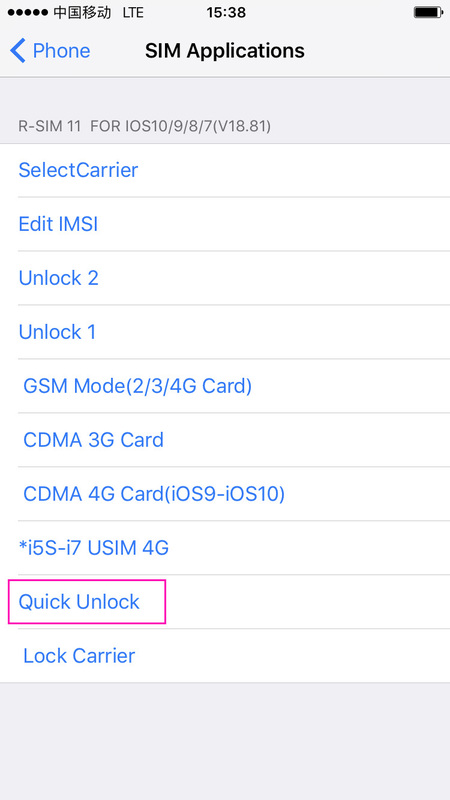 RSIM10+ card unlock tutorial( For China Unicom 4G, advise user to update mobile phone system to ios 10), applies to China Mobile card as well. Step 1: Insert RSIM and SIM card, and select operator à then select i5S-i7 USIM 4G -> M2(iOS8-iOS10), and press “accept” to finish setting. Restart the mobile phone. Mobile phone will enter “Require activation”. Check the signal and 4G symbol. Wait for several seconds and dial “112” and wait. Press “Accept” when pops out, and then hang up. Unlocking process finishes when signal appears. (Try a second time if it doesn’t work). Check the operation video for help if necessary. 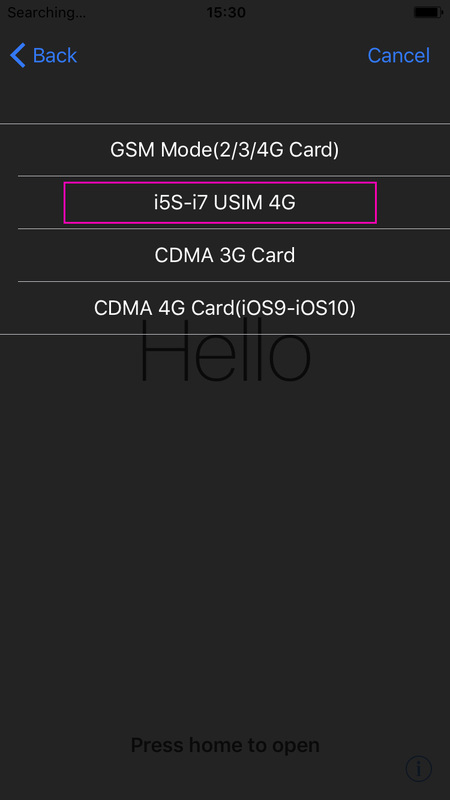 Step 1: Insert RSIM and SIM card, and select operator à then select i5S-i7 USIM 4G -> M2(iOS8-iOS10), and press “accept” to finish setting. Step 3: Insert RSIM and sim card together. Start the phone. China Mobile signal appears—may be 2G signal, and a while later 4G signal appears. PS: This method applies to China Unicom as well. Step 1: Insert RSIM and China Mobile 4G. Press “accept” to finish setting. Step 3: Insert RSIM and sim card together. Start the phone. China Mobile signal appears—may be 2G signal, and a while later China Unicom and China Mobile 4G signal appears. 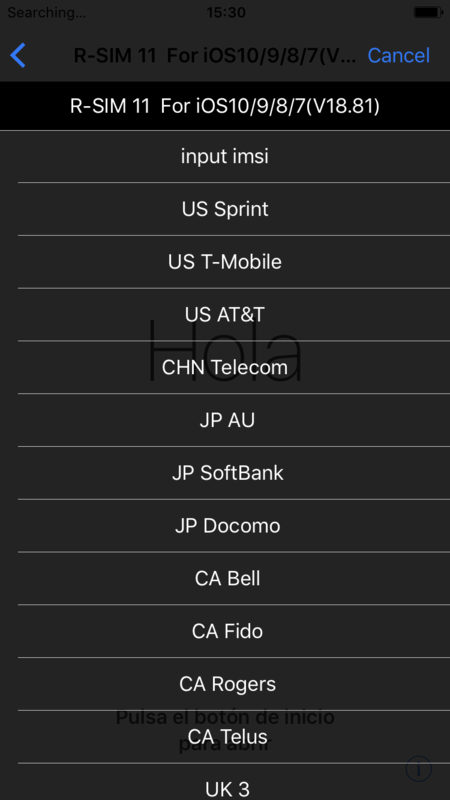 Step 1: Insert RSIM and China Telecom sim, select CDMA 4G if it is your phone mode, and then select operator (For present only US Sprint, Japan au and Softbank support China Telecom). Press “accept” to finish setting. 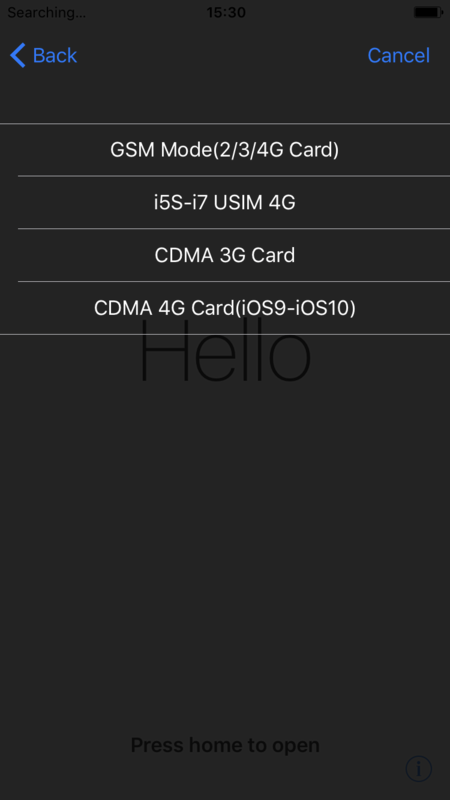 Step 2: Take out RSIM, just insert China Telecom sim. After verified, the Mobile phone will enter “Require activation”. When 3G/4G signal appears, press next and activate. It shows sim card invalid, shut down the phone. (Wait for 10 seconds to fully shut down after the screen black out). 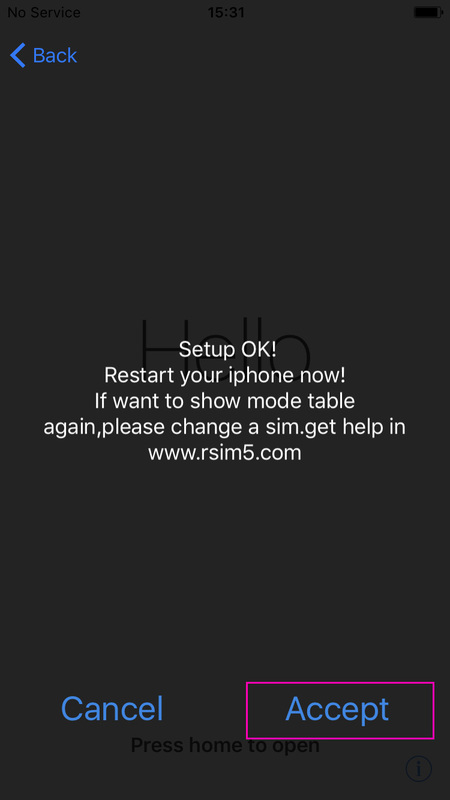 Step 3: Insert RSIM and sim. Start the phone, and then China Telecom signal appears. Unlock process finishes.